Enkei Racing Series - PF01 wheels MAZDA - MiataRoadster - Stay tuned with MiataRoadster! 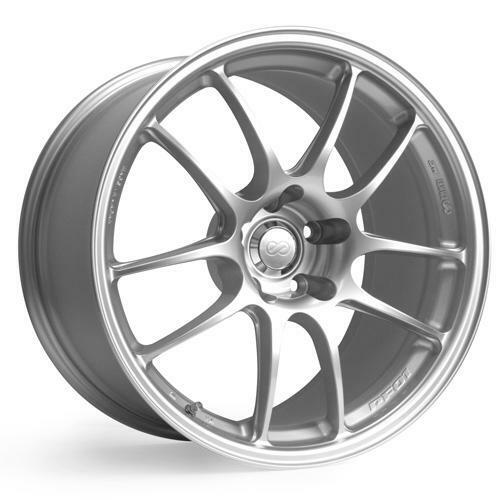 The PF01 is the newest addition to Enkei’s Racing Series line of wheels. The new PF01 is a high quality, very lightweight wheel offered at a competitive price. Manufactured using Enkei’s proprietary MAT technology, the PF01 is a light, racer-friendly wheel. 15” to 18” diameters offer plenty of clearance for large brake calipers. The PF01 is used by Rhys Millen and many other professional racers.